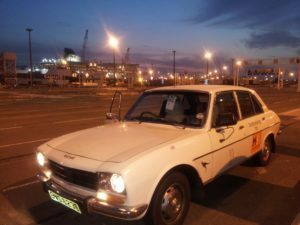 Let me introduce you to Clancy, a Peugeot 504 who has effectively circumnavigated the world 25 times. I refer to Clancy as a “who” rather than an “it” as he is part of the family. Prior to becoming Clancy Herbert residing in England, he lived in Australia and worked in the outback and was part of another family and was loved just as much as he is by us. Built in Melbourne, Clancy’s first half a million KM was earned as a runaround for a haulage company but he decided he would like a change and moved up to Queensland to the warmer climate and a different lifestyle; let’s face it who wouldn’t move to the tropics if given the chance! While in Queensland the 504 became a workhorse for a young lady who taught at remote outback settlements; huge distances to be covered and reliability an absolute must. The risk of breaking down in outback Australia is a very serious consideration and with miles of empty roads there should be not even a slight hint of doubt about being safe, especially as a woman. For this lady and her father who was of course concerned for her safety (as my own father was for mine) the Peugeot was the best bet. I am not going to cover the whole of Clancy’s story here as it is part of my book and I need to save some of the good stuff but I will continue and give you an overview. After Clancy had been retired from duties in the outback his owner at the time decided that it was about time he retraced the route he had driven many years earlier, back to Ireland. It was time to drive across many continents and countries in a quest to get back to the roots. On the trip a few little hiccoughs occurred, one of which resulted in a dented rear wing courtesy of a donkey, but eventually after several weeks Graham (the owner) reached his destination. After such a long drive Graham decided that the car should remain in Europe and contacted my father who was at the time the Secretary of Club Peugeot. An avid Peugeot collector my dad of course said yes and purchased Clancy from Graham. There was a proviso, if Graham or any of his family came half way around the world again they could use the car and of course this happened. Between the time Clancy became a member of our family and today he has done several more road trips. Up to Scandinavia and across Europe and of course, more recently my trip, driving in France. As I mentioned earlier I am not going to go into all details of the history of Clancy in this particular article as I need to save something for my book but you will see that this lends itself to explaining why I, a single mum to a 4 year old chose to take a 30 year old Peugeot 504 with 1 Million KM on the clock for a little road trip in Europe. The truth is I would rather take Clancy than a modern car, any mechanic worth their salt should be able to fix an old diesel engine whilst if I got stuck anywhere with a new fangled computer on board in rural France I may be struggling! The trip was born of passion, concern and a natural desire to drive and explore but it was of course for serious reasons too; my father’s ill health and wanting to do something for him that he can no longer enjoy. Writing the book about the trip and the car is largely for him to be able to feel that he was with Lola and I; to see the trip through our eyes. The fact that I can also raise money for the MS Society is a great bonus. With all that said I am now off in search of some photos to create a gallery for you all. I shall be back soon with a visual feast for your eyes! Please take a moment to register your interest if you would like to hear when the book is published, a percentage of all sales on an ongoing basis will be donated to the MS Society. 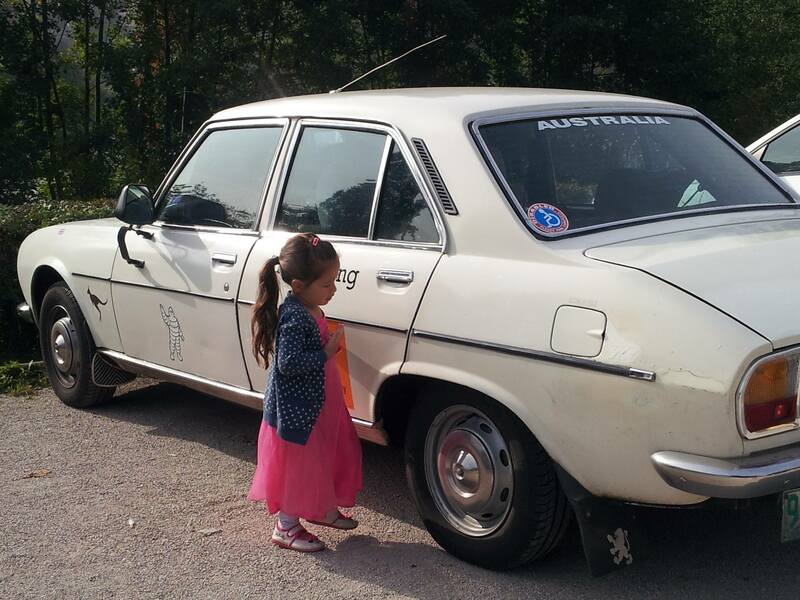 We’d love you to read about the journey we took with our beloved Clancy, the Peugeot 504!